The super-rich individuals are known to splurge on large and luxurious yachts for leisure, some for business purposes. A yacht can be a symbol of excessive wealth and luxury they have, but it also offers them privacy. It is something that large ships could not always provide, especially for people living a very public life. The world’s largest private yacht to date is the Azzam worth $600 million. The 180-meter superyacht is owned by Sheikh Khalifa bin Zayed al Nahyan (Emir of Abu Dhabi). It was built by Lurssen Yachts while the interior was designed by Christophe Leoni. Azzam reportedly has its own submarine and a missile defense system, per Business Insider. The second-largest yacht is the Eclipse owned by Russian steel magnate Roman Abramovich. Worth $1.9 billion, the 163-meter private yacht features 24 guest cabins, a disco hall, several hot tubs, two helipads and two swimming pools. Other billionaires that own some of the world’s biggest and most luxurious yachts include Microsoft co-founder Paul Allen, film director Steven Spielberg, L Brands CEO Les Wexner, and Washington Companies owner Dennis Washington. Here are five of the biggest yachts launched in 2017. German mega-yacht manufacturer is building a 135-meter superyacht currently called Project Thunder. 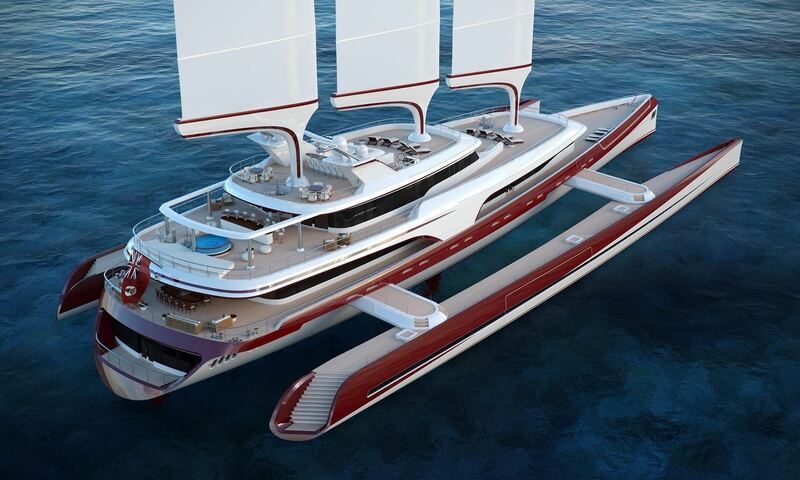 It was launched in April and is due for delivery by the end of 2018, per Yacht Harbour. It features two large helipads, a helicopter hangar, and a giant swimming pool. The yacht, with black hull and silver superstructure, carried out its first sea trials in June. Oceanco built a 110-meter mega-yacht named Jubilee, the largest yacht built in the Netherlands so far. It was launched in February and was delivered in July 2017. 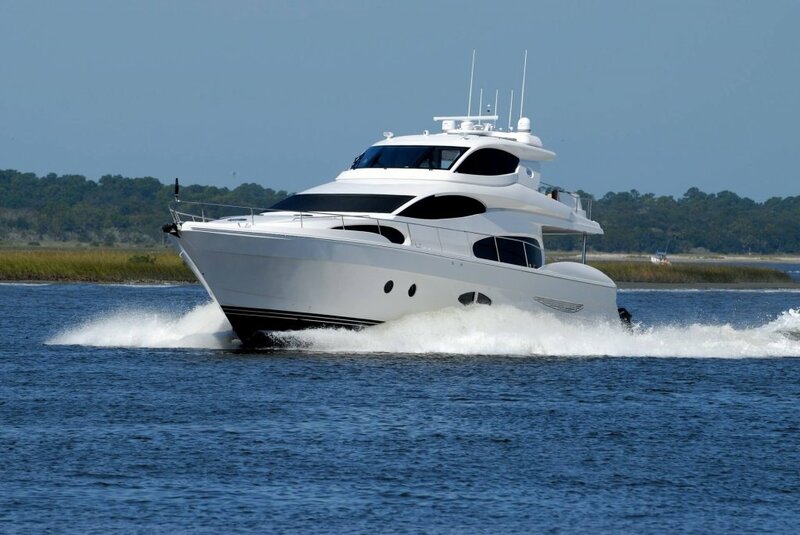 It features a helicopter operating deck forward, a mooring deck, a large pool with a built-in aquarium, 15 guest cabins, and a private owner’s deck. Former Emir of Qatar ordered the yacht, Sheikh Khalifa bin Hamad bin Abdullah bin Jassim bin Mohammed Al Thani. But following his death, Jubilee is now up for sale through Burgess. Abeking & Rasmussen built the fourth Aviva for UK billionaire Joe Lewis. The 98-meter mega-yacht was launched in January and was delivered in May 2017. The $150 million yacht features eight guest cabins, a 20 meters x 10 meters x 6 meters tennis court, and a steel hull with an aluminum superstructure. It is also equipped with a very special hybrid drive system that allows for up to 11 knots speed using electricity only. Another vessel from Lurssen under development is the 95-meter Project Fiji launched in October and is scheduled for delivery in 2019. It features a 14-meter beam, a large beach club, diving and spa areas, a sea terrace, a helicopter landing area, a contemporary modern living space with 10 spacious suites, a walkable skylight and an integrated fireplace in the upper deck. Also from Lurssen, the 85-meter Areti was launched in April and delivered in July 2017. The mega-yacht features an enormous master suite, eight spacious guest cabins, sauna, hot tub, full depth plunge pool and experience showers, a beach club, a private deck area, and a certified helipad.